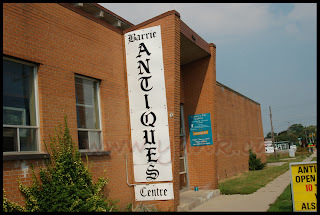 We hadn't been out to the Barrie Antique Centre in while, so we went. By this I mean, I wanted to sit home reading & eating bon bons and P said we should go to Barrie. So we went. I'd forgotten what a great collection of nostalgia they've got. 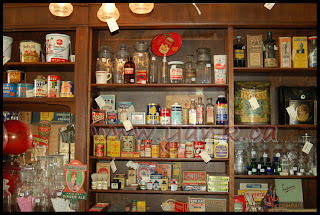 We get used to seeing so much glass and china and shiny sparkly bits, it's refreshing to see such a good hoard of nostalgia and country store items spread over two large floors. And (most of) it's for sale. Talk about being packed to the rafters. I love old signage and this place is just full of it. In a good way. Not only are the walls totally covered, there are signs and notices and ads hanging from the ceilings and lintels. Wind-up toys, old tins? They've got 'em. 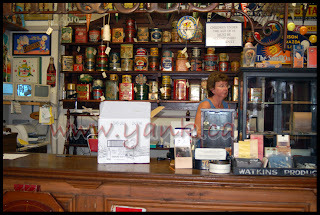 Dry goods boxes? Yep. 1920s toilet paper? Don't ask. Little stuff like matchbooks and milk bottle caps, to bigger things; I saw a treadle powered lathe while I was there. There are a few reproductions mixed in, so if you're unsure of what you're looking at, ASK! It's an easy drive from Toronto, under an hour if the traffic's good, and situated on Innisfill St., just minutes from the highway off ramp. 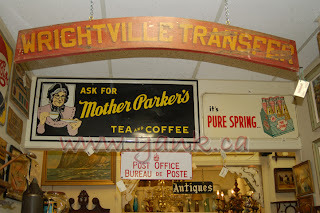 They don't have a website, but the email addy is barrieantiquecentre@bellnet.ca. The address is: 272 Innisfil St. Barrie, Ontario. Call 705-726-1663. So what did we get? P bought some shiny sparkly bits. 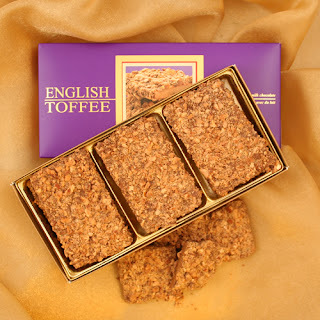 But strangely enough on the way home we happened to pass Vaughn Mills Mall where there just happens to be a Purdy's store and strangely enough again they seemed to have Purdy's English Toffee in stock. Now I am sitting around reading and eating bon bons. All's well that ends with jewelry and candy.